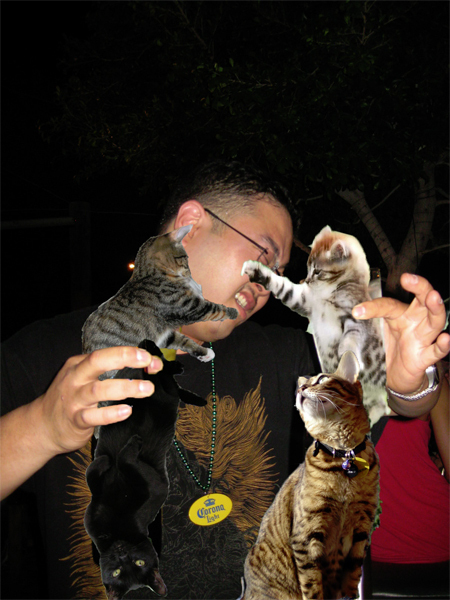 These Boozecats seem to be attacking their owner. This is very uncommon and was probably the result of heaving taunting. Boozecats hate being taunted.